Anthony Frasier is a native of Newark, NJ. Former co-founder of mobile startup Playd, and award winning gaming site TheKoalition.com. Anthony was also profiled on the hit documentary Black in America: The New Promised Land – Silicon Valley, which has received over 1 million viewers. CNN Money profiled him as being one of 8 minorities diversifying the tech scene. Anthony was listed on NBC The Grio’s 100: Making History Today list for his acclaimed work. Currently working on building up the Newark, NJ tech scene and a new tech startup. The idea was a no-brainer being that Hip Hop and gaming have been two of Peters’ passions since childhood. Originally, Konsole Kingz was to debut as a DVD magazine that featured Hip Hop artists, video game reviews and models. While that didn’t go as planned, Peters has still managed to turn Konsole Kingz into a multimedia entity that includes the website WWW.KONSOLEKINGZ.COM and a store in the XBOX Live Marketplace, both of which feature original content and celebrity influence. In addition to that Peters used his platform to leverage deals with companies like Microsoft, Electronic Arts and 2K Sports to become the ambassador for their products in the urban and Hip Hop community. 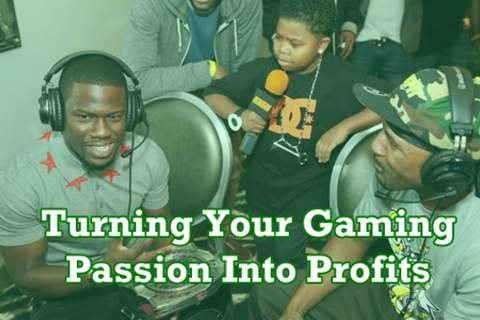 Peters and Konsole Kingz specializes in PR and virtual goods with highlights including several engagements with Microsoft, producing 2 of Capcom’s Fight Clubs and working with 2K Sports’ PR team on the NBA2K series. With virtual goods Konsole Kingz has become known for their custom exclusive gamer pics. Add to that creating events bridging Hip Hop, gamers and casual fans of both, Peters and idea are set to change the way you look at two of the world’s most popular cultures. Prior to launching Konsole Kingz, Peters attended Louisiana State University and worked corporations including IBM and Motorola. While at LSU he hosted an underground radio show and music video show on campus television. His background in gaming goes back as far as the Magnavox Odyssey2 and he has recently teamed with reality television star and songwriter Kandi Burruss to create the “Kandy Koated Spades” game for the iPhone. When he’s not in front of a console he enjoy his spare time cooking and raising a family of four. James prides himself in being born and raised in the birth place of Hip Hop, Bronx NY. Since an early age, James has been a fan of Hip Hop and has always looked for ways to use it as a motivational tool. He has been working in the technology field for over 12 years. He holds a Masters of Science in Telecommunications and has a Bachelors of Arts in Computer Science. Before embarking on his own entrepreneurial journey, he was a technologist for Random House Inc for fives years. James is obsessed with edtech and musictech scene.